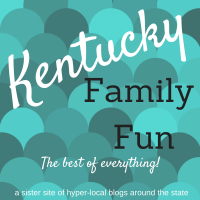 Here's some fun ideas around town that are sure to please the kiddos! Different projects and activities everyday! Check out our awesome library! Whether you're going to story time, using the computers, letting the kids do some puzzles/games in the children's area, or checking out books- there's always something to do at the library!They will have a special spring break movie on Tuesday, April 4th, at 2pm. 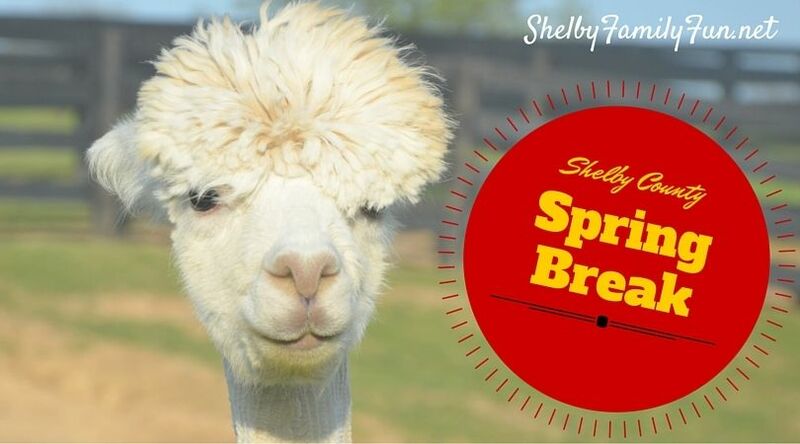 Check out Shelby Trails Park! Go on an alpaca tour! We've been to Alpaca Haven Farm and Perfect Timing Alpaca! Both were great! Check out this groupon to save money on your tour! Rent a paddle boat or canoe at Lake Shelby! Check out the prices here! 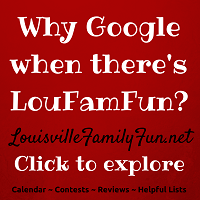 If it's raining, spend the day at the Family Activity Center in Shelbyville. They have a great indoor lap pool and indoor kiddie pool! Check out their daily fees here. Hike! We have some great trails in the area, especially the new Clear Creek Greenway Trail. 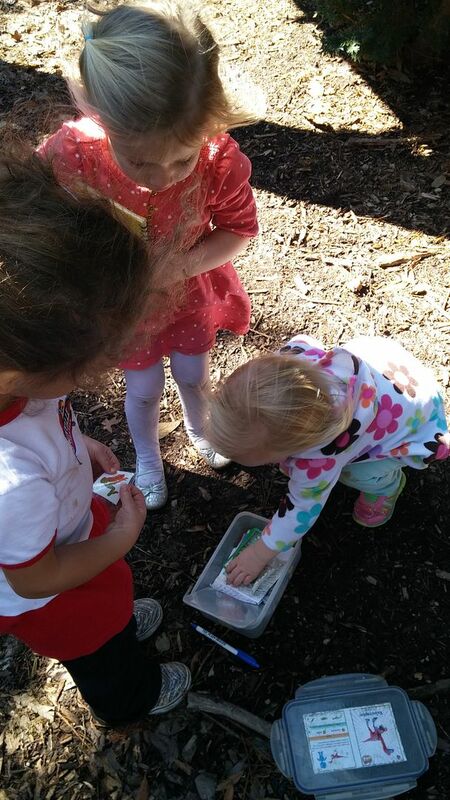 If the weather's nice you could also try geocaching! It's free and fun! Let the kids burn off some steam at Kaleidoscopes Indoor Playground. Kids are $6 each! They can play all day for that price. They have great little areas set up for parents to relax or hook up to the wi-fi and get some work done. They also have a cute little restaurant! Go watch a movie at Great Escape 8 Shelbyville! I hear Beauty and the Beast is awesome! If you're close to Louisville, check out the new Main Event off I-64 and Blankenbaker! It is the best place to take kids bowling! So. Much. Fun. Malibu Jacks is right next door and also very fun! 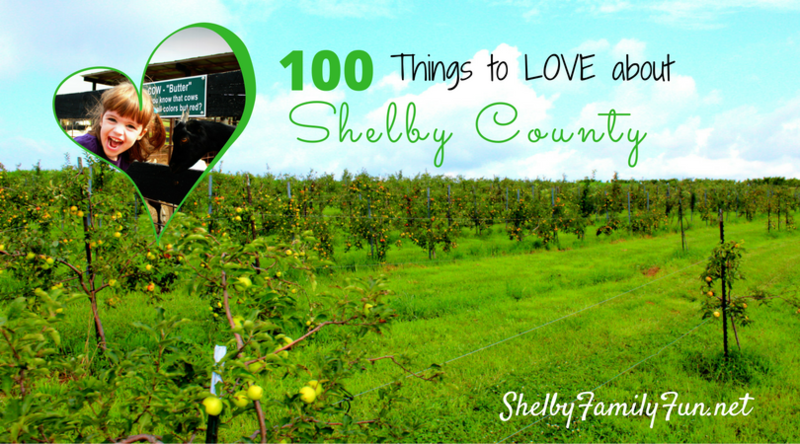 Here's our list of 50 FREE things to do in Shelby County! You may be able to find a few things on the list to do over Spring Break! Don't forget about Family Night at Baskin Robbins. From 5 to close on Tuesdays, kid's scoops are $1 and regular scoops are $1.50! Or check out the new Commonwealth Smoothie shop! They're yummy! You may also be interested in our Kids Eat Free list! Whatever you and your family decide to do, enjoy each other's company and have fun!